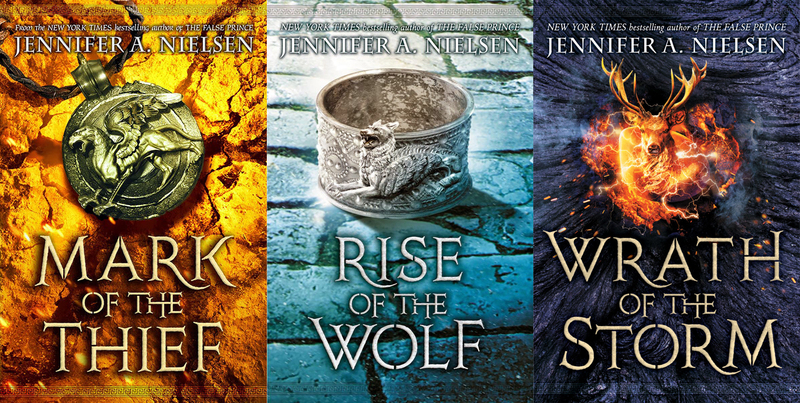 This Roman inspired series by Jennifer Nielsen that started with The Mark of the Thief and continued with The Rise of the Wolf is coming to a close. The author has just unveiled the official cover, full title and release date of said book. Presenting Wrath of the Storm in its purplish glory, featuring in the center-stage a fiery elk or reindeer. Will Nicolas Calva ever survive the encounters awaiting him or will he suffer to the death in order to save an ancient magical world. Let's all find out next year! 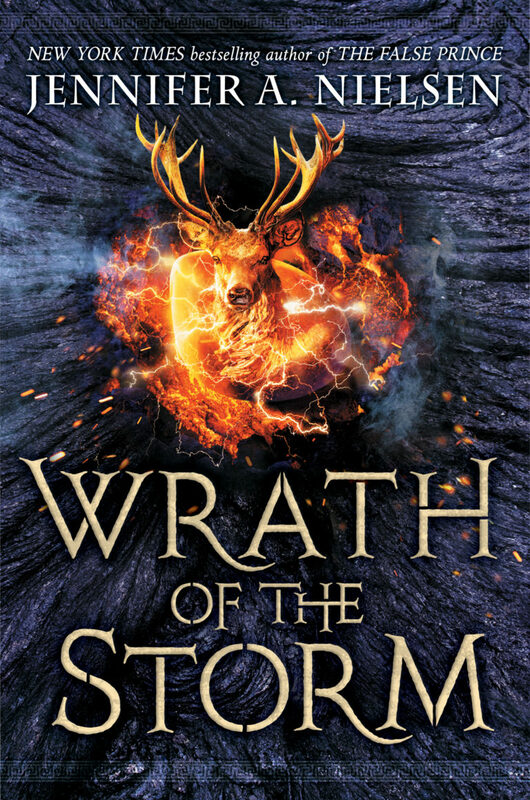 Check out the cover of Wrath of the Storm by Jennifer A. Nielsen. And as a recap, here are the three covers in the series. New York Times and USA Today bestselling author Jennifer A. Nielsen delivers the action-packed conclusion to her magical Mark of the Thief trilogy! Wrath of the Storm will be released on January 31, 2017.